The vast land and diverse natural features of the United States offer a wide variety of bodies of water and boating spots, even in the flat Midwest and the mountain areas. Among the most scenic water masses in the countries are the numerous lakes where boating fans can find an escape route for their vacation, or the perfect destination for their water hobbies. Although the number of lakes is overwhelmingly large, there are a couple of water basins that stand out from the rest with their well-maintained, beautiful waterfronts, on- and off-the-water activities, and pleasant climate. 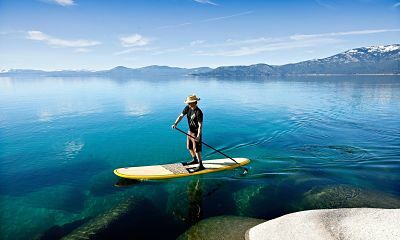 Lake Tahoe is the most widely celebrated lake in the states. It has been featured in movies, radio shows, books, and songs, and for good reason. Located between California and Nevada, the climate is suitable for jubilant boating trips and excursions during the summer and winter sports during the cold months. The weather from May to September is fantastic for cruising along the coastal resorts while the famous blue water sparkles. Lake Tahoe is a boating heaven, charming its visitors with the beautiful backdrop of the Sierra Nevada mountain range surrounding the lake. The area offers splendid hotels, hiking, mountain biking, and other sporting activities, and casinos, simultaneously offering peaceful rest and solid entertainment. The state of Georgia prides itself with the colorful Lake Lanier. While the water basin itself is not very large, it is very suitable for boating and water sports, primarily because of the all-year-round pleasant temperatures and soothing blue water. Fishing boats and tourist yachts are available, while the waters are rich in catfish, perch, sunfish, and several types of bass. The top season includes all the months from March to November when the sun is warm and boating can be combined with exciting water sports. Lake Michigan is one of the biggest lakes in the US and perhaps the most exciting in terms of boating activities. It is shared by four US states: Michigan, Illinois, Wisconsin, and Indiana. Its waterfront in each state is very different, giving the lake’s visitors the opportunity to explore its many faces. 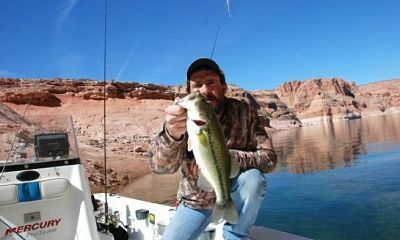 Fishing is a natural part of the lake’s buzzing activities. 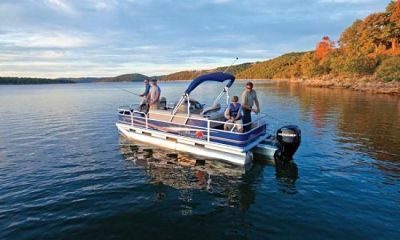 There is a huge variety of fishing boats for rent, satisfying America’s hobbies and fish consumption on a daily basis. Recreational boating in Lake Michigan is also a thrilling venture due to the plentiful picturesque islands, harbors, and lighthouses. The boating season opens up in the middle of May and extends through October. Caddo Lake is one of the best spots in the US to go fishing. On the border between Louisiana and Texas, the lake’s wildlife is unsurpassable. The lake is rich with fish which makes is the perfect destination for fishing fans, and at the same time offers enough flora and fauna for a whole family to be entertained. You can see owls, eagles, blue herons, minks, and even alligators. Lake Caddo is indeed a going back to basics and a certain adventure. One of the absolute winners in the lake boating contest is Crater Lake, which lies in the center of Crater Lake National Park in Oregon. The lake is in a caldera that was formed nearly 8,000 years ago, and is a gem in the array of U.S. natural phenomena. The panoramic scenes opening up from the lake’s shore can take your breath away in a split second. 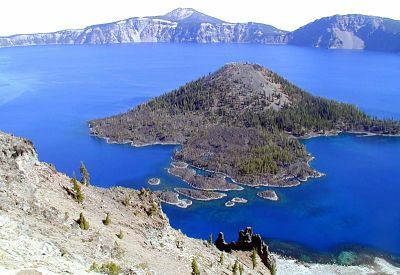 The subalpine climate of the Crater Lake makes it favorable for cruising during the warm, dry summer, but it is not so boating-friendly in the cold winter months. While not a very wide lake, it is one of the world’s deepest lakes, reaching depths of almost 2,000 feet. To cruise the lake, you must hike down a mile to the water’s edge. Lake Superior, the largest US lake and the leader of the Great Lakes, attracts boating lovers with its colorful flora, rich waters, and fantastic views. Situated in the northern part of the states, it borders three US states (Wisconsin, Michigan, and Minnesota) and the Canadian province of Ontario. It is characterized by a humid continental climate with low but pleasant temperatures. While it may not be the best place for sunbathing, Lake Superior is a gorgeous source of natural delights, as well as fishing opportunities with more than 80 types of fish available. A fabulous place to go boating and enjoy nature is the snake-shaped Lake of the Ozarks, located in the heart of Missouri. It is one of the most diverse lakes in terms of wildlife, things to do and places to see, and peaceful recreation. The Lake of the Ozarks is suitable for fishing with its abundance of catfish and largemouth bass, but it is also a charming place for leisurely cruising due to the large number of waterfront homes. The weather is very moderate and predictable, ranging from lower temperatures in the winter to almost 80 degrees during the summer. Rainfall is rare, predominantly during early spring. Redfish Lake is a small but very picturesque water basin in central Idaho, seemingly untouched by the human hand, with an abundant amount of wildlife and fish, and marvelous views. There are numerous boating opportunities for both fishing and leisure purposes. The best time to go boating in this beautiful area are the summer months, especially July and August, when the temperatures are mild as opposed to the freezing winter climate. The lake features nice restaurants, boating and fishing centers, and fun water activities. 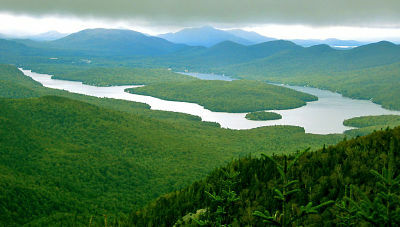 A viable option for all-year-round boating experience is Lake Placid in the state of New York. While the best time to go sailing and fishing in the lake is May to early October, the winter is not as severe as many other basins located in the Northern part of the states. Lake Placid was the host of the 1932 and the 1980 Winter Olympics and has never stopped being in the spotlight for local sports events. There is something for everyone to do and see, especially if you are a fan of water sports. Boating, hiking, and bird watching are only a small part of the recreational activities available. There are also plenty of historic sites for a truly engaging and inspirational vacation. Another paradise on earth, situated in the state of Washington and representing its largest natural water basin, is Lake Chelan. Although it resembles a fairytale in the winter when it is covered in snow, the lake is best suitable for boating adventures in the late spring, summer, and early autumn months. Comprising of the two main basins, the Wapato and the Lucerne Basin, it is a waterway to the North Cascades National Park. Lake Chelan is a watersports heaven. Available for rent are not only boats — big and small, simple and luxurious — but also all the gear that would add up to the perfect experience — kayaks, water skis, snorkeling and scuba-diving gear, paddle boards, and more. Fed by the Colorado River, this reservoir has carved a place for itself on the boarder of Utah and Arizona – it even operates on two time zones. The clear waters of Lake Powell offer nearly 2 million people every year a place to vacation, relax, enjoy all that nature has to offer as well as a respite from the hot, desert summers. 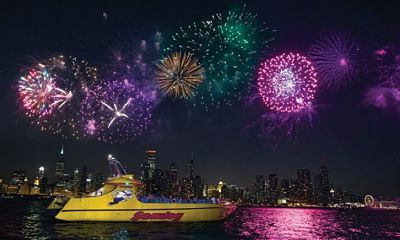 Visitors typically have their spread of boats available for rent — houseboats, powerboats, and kayaks being among the most popular. Fish are plentiful as well as the sheer, orange, red, and pink sandstone walls that border the blue waters. Many tourists take their boating vacation to the next level and rent camping gear along side the boat of their choice better to zip around the lake and experience a new shore to sleep on each night. After you’ve had your fill of boating, step ashore and explore colorful Antelope Canyon among other national parks, canyons, and historic sites. Take a pick, grab your bags, and set off to a remarkable journey to America’s top boating lakes!